﻿ How do black holes comply with information theory via Hawking radiation? How do black holes comply with information theory via Hawking radiation? Black holes occupy a strange position in mainstream media and cultural awareness(1) due to the fact that the interpretation of black holes by the general theory of relativity has given us the opportunity to imagine beyond space and time. A black hole is a phenomenon that has perpetuated the formation of the new and intriguing ideas on science, such as time travel, different space dimensions and last but not least spaghettification. But, if even light could not escape from the gravity force produced by a black hole, then where has all the information possessed by the black hole from the universe been stored? Black holes are massive stars that had a vast matter in their outside layers collapse into themselves through the gravitational force produced by their centre. As electron degeneracy pressure and neutron degeneracy pressure cannot prevent the star from collapsing, the matter of the star is getting denser and smaller until its core completely collapses. However, complete collapse does not mean that the massive star vanishes from the universe. The structure of space-time, as described by Einstein, precludes an infinite collapse and produces instead an immaterial, invisible but real curvature of space, a black hole. (2) When a black hole emerges in the universe, the centre of it becomes a point that even light cannot escape from called singularity. In other words, a singularity occurs when the gravitational field and density of an object, in this case, a massive star, becomes infinite because of its centre reaching beyond the point of no volume(3). A singularity is covered by its event horizon that is the main characteristic of a black hole. The event horizon of a black hole is the boundary to the detrimental effects of a singularity on space and time. The radius of the event horizon is called the Schwarzschild radius. This dimension is given by the expression R=2GM/c2 where M is the mass of the black hole, c, the speed of light, and G, the gravitational constant. If M is compressed to this radius, nothing can stop its further collapse to form the gravitational singularity that is the origin of a black hole. (4) Any object reaching beyond the horizon of a black hole is confronted to the absence of the physical laws by the singularity and swallowed in an irreversible way interpreted in classical black-hole theory. Information theory, which is also known as information entropy, is simply about how two different quantities of information are getting in equilibrium by preventing the reduction of the sum of the information. In other words, any information compelled to change its form cannot be erased or disappeared from the universe, it can only be converted to the other forms of information. Nonetheless, if nothing can escape from a black hole, even light cannot, what happens to all the information swallowed by the black hole(The Bekenstein-Hawking entropy or black hole entropy). As a thought experiment, if you threw the only copy of a book into a black hole, what would have happened to all the information written in the book? 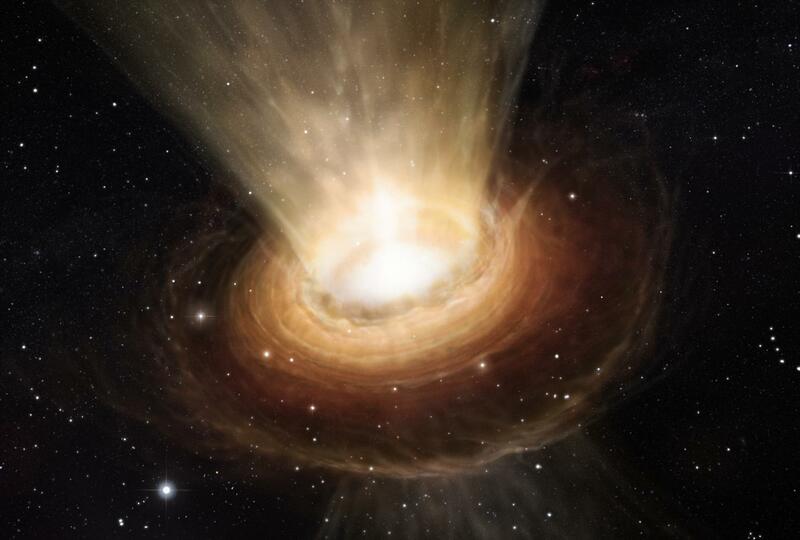 In classical black-hole theory, no matter and no information can escape from a black hole. Hence, the book must have been annihilated from the universe. Conversely, Stephen Hawking and Jakob Bekenstein found an astonishing way to interpret whether the book was annihilated or not by the black hole. Hawking and Bekenstein realized that a rotating black hole can evaporate while combining the principles of quantum mechanics and general relativity. This term is therefore known as black hole evaporation. In quantum mechanics, particle-antiparticle pairs randomly emerge in the universe, such as an electron-positron pair, because of Werner Heisenberg's uncertainty principle(a particle's position and momentum cannot be known absolutely at the same time). The creation of particle-antiparticle pairs is due to the temporary change in the amount of energy of a space point. It is called quantum fluctuation or vacuum fluctuation. Normally, particle-antiparticle pairs recombine quickly and disappear, that are therefore also known as virtual particles. However, near the horizon, a particle may fall back into the black hole while its partner escapes as radiation from annihilation(5). The particle creation costs a minute of mass to the black hole because of the escaping particle carrying a minute part of the energy of it. In other words, the virtual particles near to the event horizon stimulate the black hole to radiate particles as photons. The radiation emitted by black holes is known as Hawking radiation. Black holes release the information possessed by themselves via Hawking radiation by getting smaller. The reason is as follows. The evaporation rate is proportional to the inverse square of the black hole mass, which is calculated by Stephen Hawking. As the mass of the black hole diminishes slowly, the evaporation rate accelerates and in the final phase(6); it ends hypothetically with a vast explosion of elementary particles. Thus, the book has never disappeared permanently, it would escape from the black hole as an extremely rudimentary form of information while the black hole was getting smaller. (1) Clegg, Brain. "LOOKING TO THE FUTURE." Gravitational Waves: How Einstein's Spacetime Ripples Reveal the Secrets of the Universe. London: Icon Books, 2018. 129. Print. (2) Brecque, Mort La. "Black Holes." The New Book Of Popular Science Vol-1. Grolier Incorporated, 1988. 241. Print. (3) Stannard, Russell. "Quantum gravity and string theory." The End of Discovery: Are We Approaching the Boundaries of the Knowable?. New York: Oxford University Press, 2010. 209. Print. (4) Bely, Pierre-Yves, Christian, Carol, and Roy, Jean-René. "What is a black hole?." A Question and Answer Guide to Astronomy. Cambridge: Cambridge University Press, 2010. 142. Print. (5) Bely, Pierre-Yves, Christian, Carol, and Roy, Jean-René. "Can anything escape from a black hole?." A Question and Answer Guide to Astronomy. Cambridge: Cambridge University Press, 2010. 143. Print. (6) Bely, Pierre-Yves, Christian, Carol, and Roy, Jean-René. "Can anything escape from a black hole?." A Question and Answer Guide to Astronomy. Cambridge: Cambridge University Press, 2010. 144. Print.